If Martin Luther King were still alive, he would be concerned about the inequity of income that has developed regardless of race, especially over the past thirty years. I saw this quote on Facebook a couple days after the shootings in Newtown, Connecticut. The quote made me think about what would MLK, Jr. be doing and saying about current events. I have read and/or listened to many of Martin’s writings and speeches, so I could (I hope) reasonably extrapolate his views. Of course, it’s difficult to ascertain what his impact on society and the culture would be had he survived. Maybe progress in some areas would have happened sooner; maybe he would been rendered largely irrelevant. That’s the thing about those who die, especially those who die relatively young; they are frozen in time. Maybe, instead of him dying in 1968, I should imagine that he was traveling to another planet, and finally made it back, this century. The overriding issue for Martin Luther King was always justice. He would fret over the continuing divide of wealth between white Americans and those who are black and Hispanic. At the end of his life, MLK was increasingly aware of class distinctions. He would be equally concerned about the inequity of income that has developed regardless of race, especially over the past thirty years; he would be challenging the 1% for sure. He would be a proponent of equal pay for women. Obviously, heinous acts of brutality be distressing to him. But he would also address the culture of violence that leads to such unthinkable acts. He would surely talk about the awful tumult that takes place every day in the United States that DOESN’T make the headlines. He would oppose the death penalty. Not only did he not believe in “an eye for an eye,” but he would despair of the imbalance of people of color incarcerated and on death rows across the country, disproportionate to the number of crimes committed. MLK came to oppose the Vietnam war by 1967. Surely, he would have opposed the Iraq war as unjustified, even before it actually started in 2003. The current wars, particularly the use of drones, would break his heart. 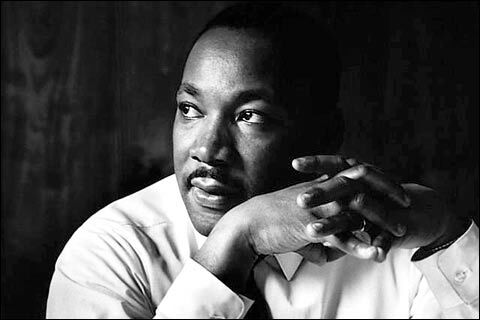 Thank you so much for this beautiful post dedicated to Martin Luther King, one of the great people in human history. You said exactly what I always thought: all those wars in Vietnam, Korea, Iraq, Afghanistan …. were wrong. All soldiers who died were sacrificed. But for what? Of course MLK would have been happy with the fact that Barrack Obama is now president of the USA.Martin Luther King, Mahatma Gandhi, Buddha or Jesus are the greatest teachers in our history. These are the leaders we have to follow. If we all did so there would be peace and understanding. It’s a shame that peace-loving, brilliant minds often die from violence like MLK and Gandhi; I’ve often wondered if it’s fear of their message and the change they could bring to society that prompts people to react with such hate. Unfortunately, it might be a long while until we see an orator, thinker, or philosopher at this level again…certainly hasn’t been in my lifetime, thus far. Rev. King was an amazing man who died too soon. He also advocated taking responsibility for our own actions and not be so quick to blame someone else for our bad decisions. I have the utmost respect for him, and think if more people would read his sermons etc., this world might be a better place. He will say, the world has not changed. I died in vain.